Software development process is a process to split software development tasks into different stages. The software development process involves Requirements analysis, Software design, and Implementation, Testing, Integration, Deployment and Maintenance stages. The software developers may not involve the new development directly. The software companies want to maintain the existing products. So, the software developers should adopt to the existing project, client or product companies’ development process. The developer should involve with different teams for marking the quality products. It involves in different stages in software development lifecycle. The software companies do not develop new products. The developer may not get a chance to develop the new product development. The software company may enhance the existing product or fixing the bugs from the existing modules. So, the developers always need to analysis the existing code and fix the flows. It may involve more time to fix the issues from existing code. The developer must understand each and every module before making any change. The developer spends more time in maintaining and modifying other people’s code than develop new modules. The source code should maintain using source control management system. The source code can’t be backup hard disks directly. The developer uses the source code and modifies or fix the issues every day. If the team has more developers the management team would like to review each developer code and merge to the base without breaking the existing modules. The source control management software helps to maintain the source code easily (Example ClearCase, CVS, GIT). The experienced resource monitor and review the source code. The continuous integration process makes sure about the new change do not break the existing module. The developer should maintain the software products quality. Software Quality Control is the set of procedures used by software companies to ensure that a software product will meet its quality goals at the best value to the customer. The quality control maintained by the quality management team and software developers. Many software development processes enforces the quality. The quality control measure by multiple testing methods like functionality testing, stress testing, Software performance testing, Regression testing, Integration testing, unit testing and more. The product based companies’ uses beta products and communicate with beta users for testing the products. The service based companies’ setup inbuilt quality team and make sure about the quality of the product. Extreme programming (XP) is a software development methodology which is intended to improve software quality and responsiveness to changing customer requirements. It is a type of agile software development process. Extreme Programming is useful when the requirements change frequently. The customer may not freeze the requirement. It provides platform to meet all the stack holders who involved in product development. Waterfall model is a sequential design process which start the progress from conception, initiation, analysis, design, construction, testing and maintenance. The waterfall model is useful when the requirement finalized properly. Waterfall model works well for smaller projects where requirements are very well understood. The Iterative development is a development process which split the big tasks to deliverable small tasks. Each task completed and moved to system iteratively. It contains Inception, Elaboration, Construction and Transition phases. Iterative development works well for small projects which take less time. If the project takes more time, the iterative development breaks the tasks into smaller sub-tasks and complete each tasks Iterative development. The RAD Model is an incremental model which develop the modules parallel. RAD is especially well suited developing software that is driven by user interface requirements. Agile software development is a group of software development methods in which requirements and solutions evolve through collaboration between self-organizing, cross-functional teams. Agile Programming is to construct software in a series of short (typically two to four weeks) iterations. Each iteration has its own planning, design, coding, testing, and release phases. Agile development suited for service based companies where the client involves more on requirements, development and testing. The business decides the development process. The product based companies can follow the process based on the company policy or management team guide. The service based company follow the process based on the client requirement and involvement. 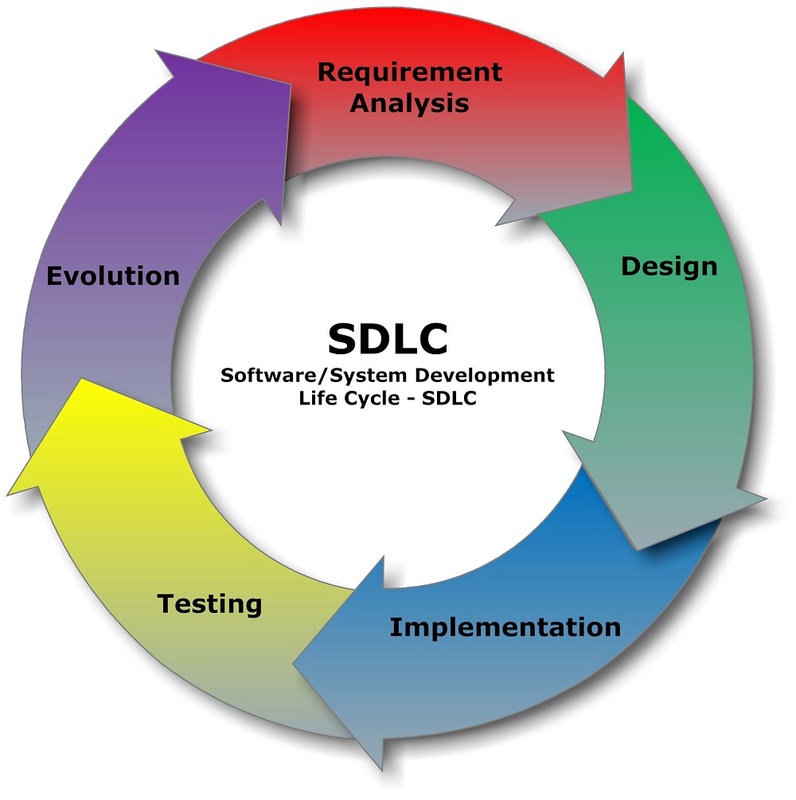 If the client follows the process, the service based companies follow the same software development lifecycle model. The service based companies who provide service to the client (Ex Accenture provide services to clients). The development process differs based on the client interaction and contract. The client may set up separate software development team and share the work to the service based companies. The client and service based companies need to collaborate a lot and may need daily meetings. The client may involve with multiple software service vendors (one module may handle by service provider A and another module may handle by service provider B). The client needs to integrate all the modules. The client may fully deponent on one service based Software Company. The service based software company control all the development process. The client top management team monitor the development process. The client may get only the resource from the service based software companies. The client controls everything. Service based companies development process may be different based on the client interaction. The service based company consider the above points before choose any product development lifecycle process. The product based company may have own products which use to sell the products to customers (Oracle, Amazon, Apple, Microsoft or Google). The service based company may use product based companies product (Example Service based company may use Windows operating system and Oracle Database products). Product development companies adopt the development process based on the management team. If the company acquires another company, it may adopt to the new company development process. Every software company management team would like to increase the resource productive working time. The management wants to keep track the each activity, time and plan the product release date. The product based company and service based company runs on top of the business. The business drives the software development process. The company cannot choose the product development life cycle. It may affect the cost, resource time, documentation and geographic locations and company culture and policies.